Is there financial assistance available for you? If you’re struggling financially even when you work hard to live within your means, it’s worth finding out whether you are eligible for assistance from Work and Income. It can be hard to know what you might be eligible for, but if you don’t try and find out, you might be missing out on financial assistance that could really help. You might be able to get some forms of financial assistance even if you are working, if your income is below the threshold. It is well-worth spending a few minutes on Work and Income’s online calculator to get an idea of what types of financial assistance you might be eligible for. It is on their website www.winz.govt.nz and is simple to use. If you need help with his – or don’t have access to the internet – you can always contact your local CAB. We can also check to see whether you might be eligible for tax credits or other forms of assistance. Have you ever purchased goods from a pop-up shop, fair stall, carnival stand, or from a liquidation/receivership sale? What happens if the goods you purchased turn out to be faulty or weren’t what you expected – and the trader has moved on? Buying from a temporary or short-term trader does not mean that your rights as a consumer are any less- you’re still entitled to buy goods that are of a good quality and fit for their intended purpose. However, it may mean that in the event of a fault arising with the goods, consumers are not able to enforce their rights if the trader has disappeared from the point of sale. Unless you can find the trader you will not be able to enforce your legal rights. Make sure you keep your receipt and if there’s a problem, contact the trader and try to resolve the issue with them directly. Before you buy, check the quality of the goods as far as you are able. Ask for more information, and request proof if any claims about the goods are being made. If you haven’t been able to resolve the problem directly with the seller or service provider, the Disputes Tribunal can be an inexpensive, informal and private way to help you reach an agreement or may make a decision about what is fair. If you are unsure of what you want to do, come and see us, email or phone us. Our services are free, impartial and confidential. 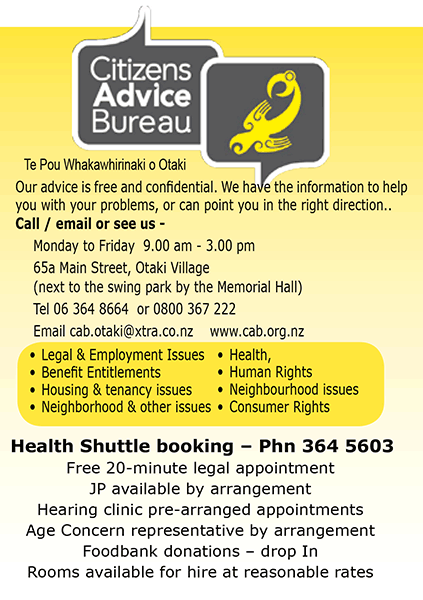 Our services are free, impartial and confidential.